Mobile document scanners are lightweight portable tools ideal for the mobile professional, or DIY photo archivist, who needs a powerful but speedy scanner that can be tucked into a briefcase or travel tote. All of the options we examined were USB-powered, except for the pricier Doxie One, which is powered by AAA batteries. Some have onboard memory (MSRM iScan and the Doxie One), while the others will scan to the cloud or to a connected computer. If you are looking to perform two-sided (duplex) document scanning, we recommend that you check out the Brother DS-920DW. The USB-powered Brother DS-620 can scan up to 1200 x 1200 dpi interpolated resolution and 600 x 600 optical dpi, with pretty fast color and black scan speeds of up to 8 pages per minute. It also enables you to scan to a variety of different destinations to help you manage your documents and workflow. 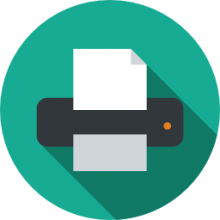 You can scan documents to a local file or image, to a shared folder, email, FTP, or printer, making it easy to save and share scanned information. You never know when there might be a need to scan a document or an image for personal or business reasons and this is why some people buy a portable document scanner. This one by Epson has a lot of nice features that a lot of users enjoy such as the ability to scan directly to the cloud. It also has the ability for 600 dpi color CIS with 10,368 pixels and can scan documents up to 8.5” x 14” along with rigid ID and credit cards. Users like the fact that this portable document scanner is compatible with a variety of different operating systems such as Windows XP, Windows XP Professional x64 Edition, Windows Vista, Windows 7, Windows 8, Mac OS, Windows 10.5x, 10.6x, 10.7x, and 10.8x. Users also like that you can search and even edit scanned text, make PDFs and PDF/A documents. Some users, however, have complained that this portable document scanner is not as durable as expected. If you need a portable document scanner that is not cumbersome and doesn’t take up much room when traveling this Brother DS-620 Mobile Color Page Scanner might just fit the need. Users really like how compact and lightweight this portable document scanner is, weighing under a pound. Professionals who use this portable document scanner like how easily it can fit right into a business bag or even a briefcase and like how easily it scans business documents, receipts, business cards, invoices, ID cards that are even laminated, photos and a lot more. Users also like that it works on all Windows and Mac systems so you don’t have to worry about not having the right computer. Users also commented on how extremely fast this portable document scanner is as well. Some users have complained that sometimes it will stop during the middle of a scan and has to be scanned again. The MSRMiScan Wand Portable Document Scanner is an extremely compact and lightweight scanner that is very travel-friendly which a lot of users like especially those who travel a lot for business. This portable document scanner can scan receipts, business cards of all types, various documents, handwritten notes as well as being able to share a user’s scans and information through searchable PDF files or JPEG. This portable document scanner has resolutions from 300x300dpi to 900x900dpi giving it the ability to produce extremely high-quality scans. Users like that it comes with its own 8G micro SD card and can hold up to a 32GB card. Users also like that it comes with its own carrying bag and calibration and cleaning sheets. Some users have complained that it does use a lot of battery power and they have to be replaced after just a short period of time. The Visioneer RoadWarrior is a portable document scanner that can easily be taken anywhere and it allows users to scan all of their receipts, business cards, documents, photos, newspaper clippings, even magazine articles. Users like how versatile this portable document scanner is and how it can handle just about anything you need for it to handle. Users like how easy it is to use and then be able to organize all of their important scans in a way that is best suited for their personal and business needs. This portable document scanner also makes it very easy to send and share with other things that have been scanned. Users like how easy it is to find what they’ve scanned when there is a need for the items at a later date. 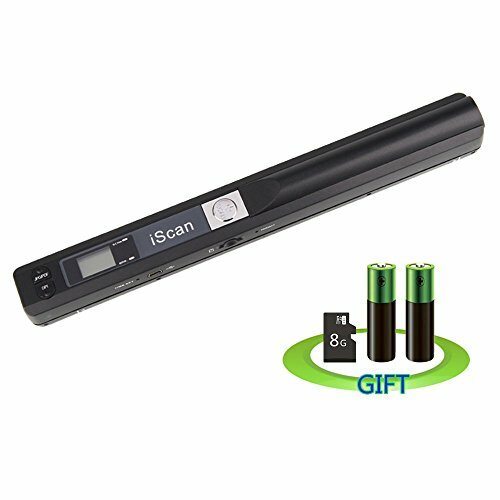 Another thing that users like about this portable document scanner is that it has one-touch technology which allows them to scan to the destination of their choice by pressing one single button. Some users feel that even though the portable document scanner itself is easy to use, the software programs that come with it are somewhat difficult to understand and use. 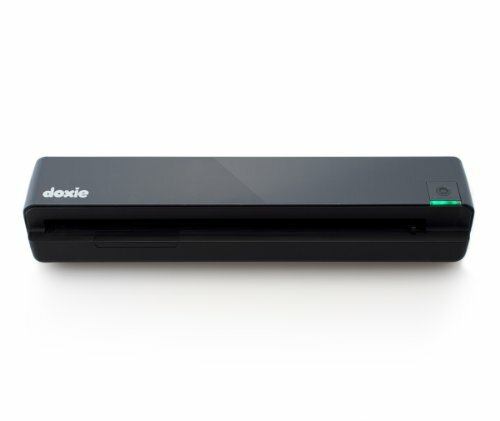 The Doxie One is a simple standalone portable document scanner that allows you to scan any kind of document you want without the use of a computer, a key feature that a lot of users really seem to like about this particular portable document scanner. It is extremely fast and can scan full-color sheets at 300dpi in about eight seconds. Users like that with this portable document scanner you can sync it to your Mac, PC or even your iPad and you can download all of your scans with the SD card or by USB making it very convenient for a lot of users that don’t have a PC available to them at the time of scanning. Users really like how easy it is to use and how simple it makes everything when you need something scanned but have no computer access. Some users have complained, however, that the feeder of this portable document scanner can be really sensitive and can pick up even the smallest of creases in a piece of paper making it difficult to run the paper through the scanner. One of the first portable document scanners that we took a look at was the Epson Workforce DS-30. It features an ability to scan directly into the cloud, an optical sensor and has 600 dpi color with 10,368 pixels. Epson says that this portable scanner is engineered to provide robust functionality on the go. It is equipped to scan and capture plastic ID cards, documents, receipts and many more items, up to 8.5" x 14". Additionally, you'll be able to scan directly to a cloud service using included software. A relatively travel-friendly option, the single-side scanner is USB powered, so you don't need an external power supply to get it up and running. One of the buyers that we spoke with praised it as a lightweight and compact option that retains a rugged and durable overall feel. They say that as opposed to other portable document scanners, this one genuinely provides 600 dpi resolution- legitimately quality imagery. Weighing in just over a half a pound, it does over-deliver in terms of functionality, providing easy to use auto-sizing detection, making scanning business cards simple, for example. On the downside, the software can be a little bit tricky to use, and some users did complain that the USB suffered from connectivity issues. In practice, this user told us that after he unboxed the item, he installed the software, ran the calibration sheet, all of which was pretty painless. He began by scanning some 8.5" x 11" business documents that contained handwritten notes and found that the Epson workforce processed them smoothly. As well, business cards were a breeze, while receipts were a little bit difficult because their paper quality is so flimsy- so he advises that you need to be especially careful when dealing with them. He exported all of these documents to Google Docs, saying that the auto size detection worked effectively and that the OCR text enhancement was solid enough that he was able to generate PDF files without too much trouble. In general, he told us that it is a solid and lightweight option, but does suffer from USB connectivity issues on Macintosh computers, much less on the PCs. Another buyer, who described himself to us as a frequent traveling a business person, says that this portable document scanner is an essential component of his on the go work tool bag. As a professional who is required to file detailed reports on the ground from remote locations, having a portable image scanner, in conjunction with a portable printer, is indispensable for his business purposes. He told us that the quality of the scans is decent, but not exceptional. Yet another buyer that we interviewed told us that while they appreciate the hardware, the software is, unfortunately, not very user-friendly. So, while he praises this scanner for being an efficient and fast option that outputs professional-looking scans, the software took a while to figure out and remains a sore point for this user, as well as others. Another option we examined was the Brother DS-620 mobile color page scanner. Its manufacturers promote it as a lightweight option that can provide quality captures of business cards, receipts, and documents. It includes PaperPort and Presto! PageManager 9 software for Windows and Mac respectively, both of which enable you to effectively manage all of your scanned documents, scan to different Microsoft office formats, as well as scan to searchable PDF, email, folder or OCR. Because they have used industry-standard drivers, which include the SANE(3) and TWAIN, integration is simplified, enabling scanning into a number of different popular applications, including the Linux operating system. One buyer that we spoke with used this quick-scanning option for a large family photo organization task. He says that while traditional flatbed scanners do provide quality image resolution, they take forever to perform the task. If you are looking to get a lot of scanning done very quickly, it just makes sense to purchase one of these mobile scanners rather than do the tedious work in a flatbed. In fact, once you have scanned all of the photos, if you are doing a photo organization job for yourself or an organization, you can organize them with the included software, pick out the ones you want to do a high-quality scan with, and then use a flatbed scanner to perform it. Another reviewer we spoke with said that he had purchased one of these scanners because he was interested in scanning and organizing receipts, scanning Polaroids and pictures that were clogging up his house, and then also organizing his daily mail correspondence. After using it for a couple of months, he says that this particular scanner is great for receipts, performing them in color at around 200 dots per inch. The VuPoint Solutions magic wand portable scanner was yet another option we examined. VuPoint says that their product is able to easily scan, organize and archive different files, saving them to microSD and microSDHC memory cards that are up to 32 GB in storage capacity. It is powered by a rechargeable lithium polymer battery and provides 1200 dots per inch with an 8.5" x 12.5" scanning size capacity. In terms of what they can actually handle, VuPoint says that he is able to scan nearly any type of flat media, whether that be fabric patterns, photos, business cards magazine pages, written down recipes, it's really pretty limitless. A 1.5-inch color LCD screen enables you to preview scanned images to make sure that you have scanned everything you need. Another handy element is the docking station that transforms the manual scanning method into an auto feed process that increases the accuracy of the scans. One buyer that we spoke with says that when he received the item, he opened it and discovered the wand scanner, the USB and AC adapter, the docking station, a protective sleeve and a dust wipe. After some use, while he applauds the concept of the LCD preview screen, he says that since it is so small it really isn't that helpful. In his case, he was looking to digitize an attic full of old photos, and he says that the VuPoint wand scanner was indispensable for completing this task. Before he began using it, he tested out a variety of different settings, determining whether to use JPEG, PDF and different quality settings, including whether to use the docking station for the digitization project. While printing from the negative would be the best means of creating physical copies of photos, he found that the medium and high settings provided strong enough clarity for his purposes. In general, he says that after scanning 2,000 photos, it takes up about 4 GB of storage. He also advises new users to get familiar with the docking station because it can make the process of scanning massive amounts of photographs much, much faster. And then, it's very convenient to use the wand as a portable accessory so that you can move it around the room and do a quick, mobile photo scan. The Visioneer Road Warrior document scanner was another option we examined- its manufacturers unsurprisingly endorse it for the scanning of business cards, documents, handwritten notes, and receipts. Indeed, this particular portable document scanner is designed to provide quick image capture's using a compact scanning technology, enabling you to organize large sum of annoying stacks of paper clutter in your home office or at work. The bundled software will then help you to organize this information, and then you can share it with your corporate office, converting scanned documents into searchable PDFs. One business traveler that we spoke with says that this USB-powered portable scanner is a lightweight high-resolution option that is equipped with a handy one-touch scanning feature. This means that you can insert a new page and it auto feeds, so you can pretty quickly load a number of different pages without having to click buttons in between each one. In addition, he was impressed by the software, saying that it automatically cleans up images, straightens and crops them, though he does caution you should always make sure that any paper you are loading into the portable wand scanner is free of staples or paperclips. The Doxie One portable photo and document scanner was the last option we took a look at- this standalone mobile scanning option enables you to scan paper items wherever you are, without use of a computer. Some scanners like the Doxie One don't require a computer to use- it stores scans on an included SD card. You can then sync your scans to a computer or iPad using the SD card itself, a USB or an Apple iPad SD card reader. If you're in the market, use this page as a general resource- evaluate the different product features in the comparison table, and always make sure you figure out what the warranty entitles you to prior to purchase!